the Tarheel state: all the fun things in NC. June is the month that I am on call for work, so that means I sit around in the sun and read a lot of books until scheduling calls me for a trip. This past week I got called for a trip with Miami and Raleigh layovers, which got me super pumped because North Carolina is home for me! One of my dearest friends named Kelli came and picked me up from my hotel Saturday and we spent the day adventuring all over Durham, NC. I love it when I get to spend time with others who love where they live. I love going to their favorite coffee shops and I love being able to see their favorite spots. It's something I cherish about spending time with others. I love getting little glimpses into their day to day lives. 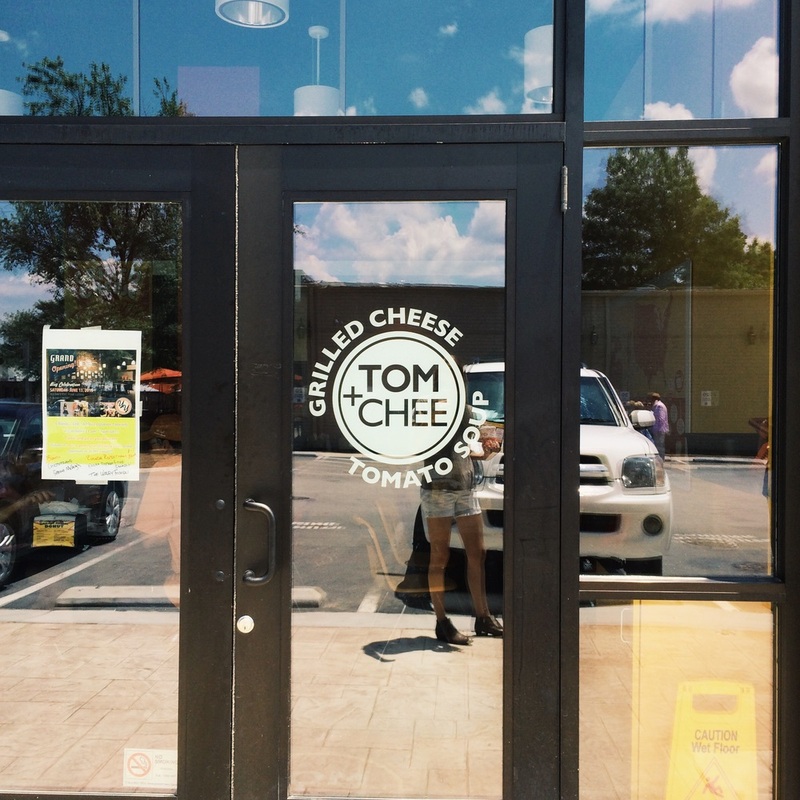 We grabbed lunch at a spot that Kelli had been dying to try called Tom and Chee. If you are a kid at heart and love cheese, it's a must. 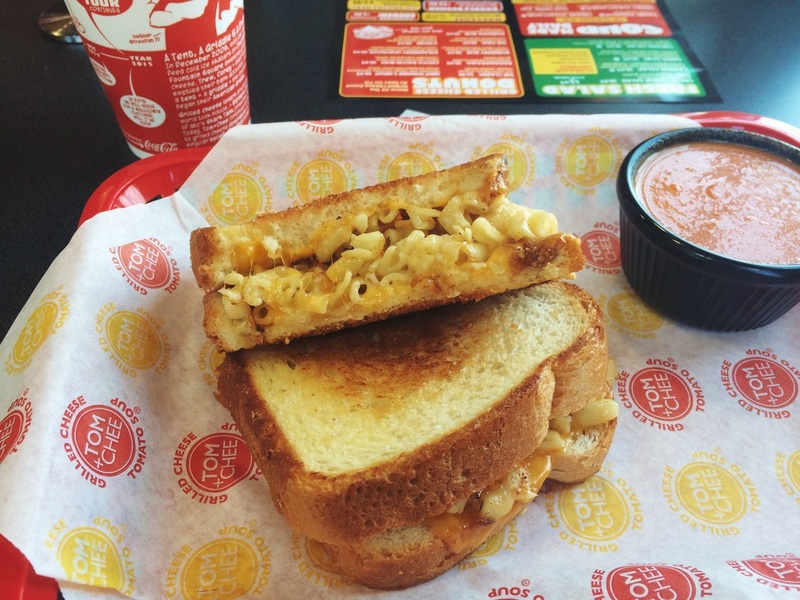 Tom and Chee is a fancy grilled cheese spot that started from the show named Shark Tank and it has also been featured on other big shows as well. I ordered a Mac + Cheese grilled cheese and Kelli had a Bacon and BBQ chip grilled cheese sandwich. Crazy right?! After that Kelli took me to a Street called Gimghoul Road, which is special to here because she actually was proposed to on a bridge that is connected to a trail off of this road. There wasn't much to do here besides drive around and look at the awesome, unreal homes that are around the block, BUT there was this crazy castle off of the side road. The castle is actually a meeting place for a secret society named "Order of the Gimghoul". I didn't believe Kelli when she told me this, but I looked it up and was most definitely wrong. The house was super eerie and if you go, make sure you get out and walk towards the side of the castle. There is a path that leads you to the back of the house with a fancy sitting place that people go to and you can get a really cool view of the back of the castle. It was special because it was special to Kell, and I loved it for that reason. Last we finished up our day at her favorite local coffee shop called Bean Traders. 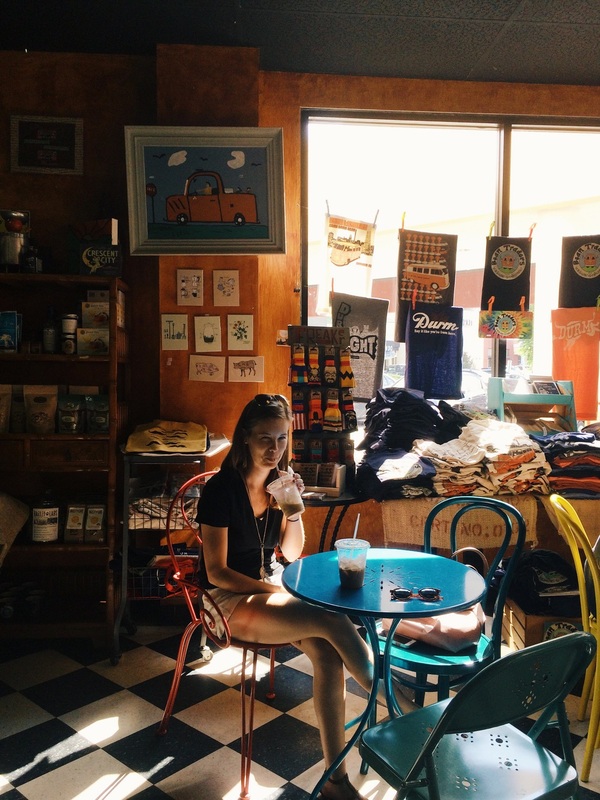 If you are looking for a good local coffee shop in the Durham area, this is the one Kelli suggested! After I finished up my 3 day trip, I flew home to Charlotte NC to visit my family. They live in a suburb called Indian Trail, which is where I spent most of my teenage years growing up. I got to go out and show my family some of my favorite little shops. NoDa (North Davidson Arts District) is probably my favorite area of Charlotte to spend time in. They have some of the most incredible restaurants and breweries. If you ever need a good area to explore, I would recommend NoDa for sure. 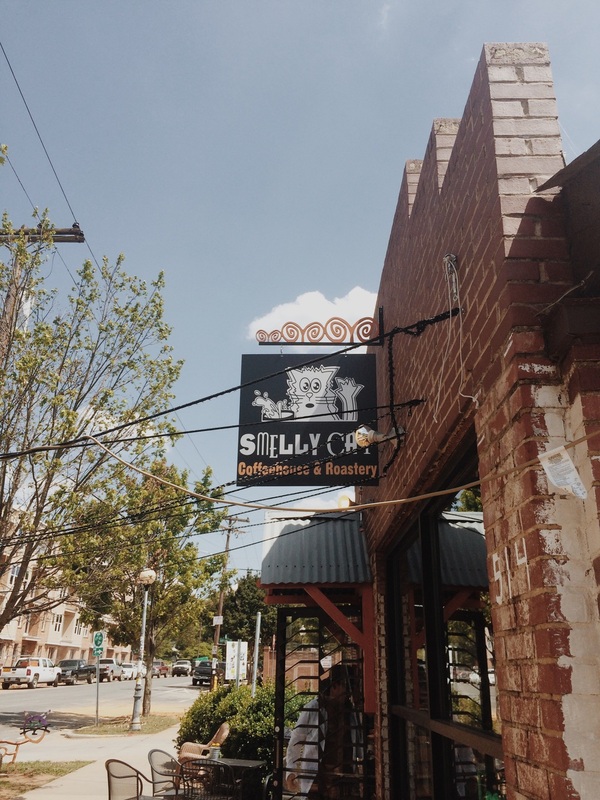 One of my top favorite coffee shops is in NoDa: Smelly Cat Coffeehouse. To all my friends fans, the name is gold. They have a KILLER dirty chai. Try it, you will love it. After that I took my family to Amelies French Bakery. 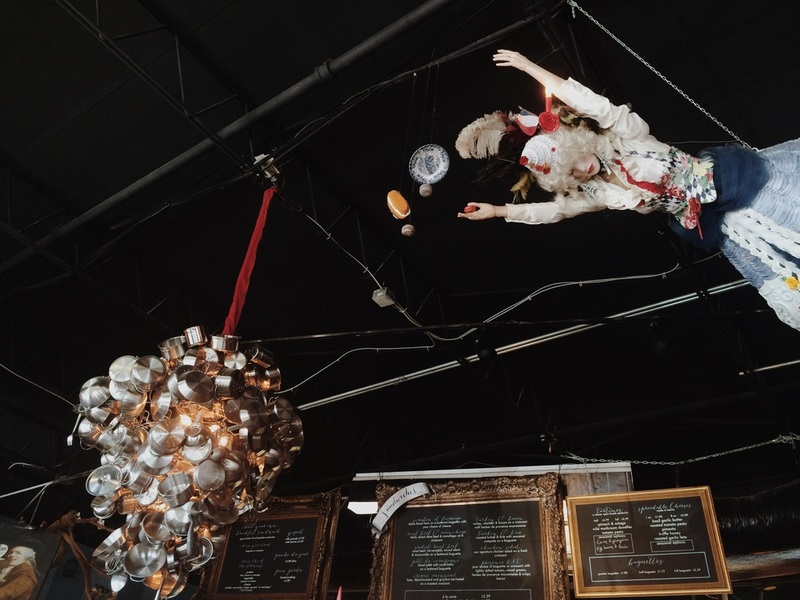 Amelies has the best decor and even better salted caramel brownies. I wish I had words to describe how good their pastries are but you just have to go see for yourself. North Carolina is home for me. I am so thankful I got to spend time discovering new places and I'm thankful I get to share my favorite spots. They hold so many dear memories and I hope one day you guys can go to them too!